While Houstonians definitely love their cars, there are nooks and crannies of the city that are best explored by foot. In our Walkable Houston series, we traverse those districts to find the prettiest parks, hottest restaurants and bars, coolest local art and shops, and most visit-worthy hidden gems. At 12 acres and nestled among Live Oaks, in the heart of Downtown, the eco-friendly Discovery Green has redefined the city’s landscape. Not surprisingly, the blocks along the beautiful urban park—which also rock the refreshed entertainment disctrict, Avenida Houston—are tickled with local treasures, making it the perfect place to hop around. Anheuser-Busch Stage and Fondren Performance Space – With an open-seating, sloped lawn perfect for concerts, movie screenings, and art performances, this green space is the perfect place to unwind. Look out for a calendar full of special events and concerts. Art Carts – Find the decked out art carts to rent on the weekends when weather permits, including play equipment like hula hoops to bocce balls which can be rented with a valid ID or driver’s license. Brown Foundation Promenade – Escape the sun by walking down this tree-lined promenade, which gets some much-needed shade from century-old oak trees. There, you’ll find a bronze statue of George R. Brown, to honor his instrumental role in shaping Downtown. HPL Express – The Houston Public Library offers an express version located adjacent to The Lake House, with free wireless service and access to the collections of the entire library system. John P. McGovern Playground – Carved into a tree-shaded hill, this whimsical kid’s playground is being redesigned as Discovery Green looks to its 10th anniversary. Jones Lawn – Look out for festivals, concerts and performances and charity events at this beautiful green space. Kinder Lake – This Discovery Green signature covers over an acre of the park, offering activities like kayaking, stand up paddleboarding, remote-controlled sailboats, and ice-skating, depending on the season. Listening Vessels – Located near the Wortham Foundation Gardens, the Listening Vessels are two stone sculptures created with sound in mind. The artworks have concave interiors, allowing park goers to whisper into one vessel and be heard in the other seventy feet away. The Mist Tree & Gateway Fountain – These two Discovery Green focal points are a must on summer days. Stroll by the Mist Tree, complete with 80 nozzles that twist to form a refreshing cloud of mist; or take the kids to the Gateway Fountain, where 14-foot high arcing jets make for a super fun splashpad. Monument Au Fantome – Meaning “Monument to the Phantom” or imaginary city in French, this free-form, red-white-and-blue sculpture by artist Jean Dubuffet sits on Avenida de las Americas. Seven forms twist and join to create a monumental treasure, each representing a different feature of Houston: a church, hedge, chimney, dog, phantom, tree, and mast. Sarofim Picnic Lawn – Plan a romantic picnic for two or gather the entire family for a day in the park. Synchronicity of Color – These bright and colorful art boxes are an iconic ingredient of Discovery Green, making for the perfect stop for a picture. Art at the Avenida – Explore the cultural landscape via artworks like Soaring in the Clouds, a 67-foot mobile of bird and cloud forms made of perforated stainless steel from artist Ed Wilson; and Wings Over Water by Joe O’Connell and Creative Machines, in which wings move and stand 30 feet high and span 70 feet wide with a huge pool of water at its base. BBVA Compass Stadium – Soccer fans can get their fill of the Houston Dynamo and Dash at this stadium, which sits in EaDo just a few blocks from the Avenidas. The George R Brown Convention Center – Aside from Discovery Green, the district’s crown jewel is this colossal convention center, which first broke ground in 1987 and has seen several updates since. Follow the calendar of events to see which shows, expos, and festivals are coming next. Minute Maid Park – A few blocks down lies Minute Maid Park, home to the Houston Astros, post-win fireworks, and loaded bbq baked potatoes that are roughly the size of Texas. 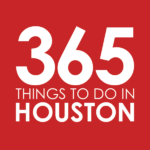 The Toyota Center – Cheer on the Houston Rockets or catch a star-studded concert at this massive arena and entertainment center, which spans six city blocks. Brasserie du Parc – From the husband-wife team behind Etoile Cuisine et Bar in Uptown Park, this One Park Place French eatery overlooks Discovery Green. As does its walk-up crepe concept, Creperie du Parc. Enjoy duck leg confit and steak frites, and don’t miss out on its lovely brunch experience complete with croque monsieur, beignets, and morning cocktails. Bud’s Pitmaster BBQ – Taste generations of flavor at this Avenida De Las Americas pit stop, which offers everything from slow-smoked brisket and hot sausage to smokehouse burgers and peach cobbler. The Lake House – With a family-friendly atmosphere and lakeside views, this fast-casual concept offers a taste of American nostalgia via burgers, Texas hot dogs, tacos and healthy salads topped with grilled chicken. Finish with root beer floats and soft serve ice cream. Grotto – This Italian spot boasts chic exposed brick and a rustic vibe. Dine on small and shareable plates, local salads, and classics like chicken scallopine, pesce al forno, and parpadelle bolognese. The Grove – Set right in Discovery Green, this striking 10,000-square-foot restaurant has its own rooftop herb and tomato garden. Enjoy Sunday brunch on the green, with lazy weekend favorites from brioche French toast to steak frites and eggs. At lunch and dinner, linger over cheese plates, Gulf shrimp and grits, and chile-braised short rib; and be sure to check out happy hour at the bar and patio. Hearsay on the Green – With striking exposed brick walls and a sweeping chandelier, this Discovery Green offshoot of Hearsay offers lunch, brunch, and dinner. Enjoy crab cakes in lobster sauce, ahi tuna tacos, and porcini-crusted New York strip. Pappadeaux Seafood Kitchen – Slurp Gulf oysters, dig into fried seafood platters, gumbo, and crawfish etouffee, and save room for praline bread pudding at this French Quarter-inspired seafood spot. Pappasito’s Cantina – Get sizzling fajitas, tableside guacamole, and boozy margaritas at this Downtown outpost of the fan-favorite Pappasito’s. Quattro – Located in the Four Seasons Hotel just a few blocks from Discovery Green, Quattro rocks elegant Italian fare with bold flavors. Brunch fans will want to check out its elaborate buffet on Sundays. Vic & Anthony’s – With an impressive 1,000-plus wine list to match its elegant looks, this steakhouse oozes sophistication. Treat yourself to colossal shrimp, prime bone-in ribeye, and unexpected twists like Szechuan tuna and fried lobster mac’. Xochi – Though this Oaxacan concept from the team behind the beloved Hugo’s hasn’t been around long, it fits into this city’s culinary landscape like a glove. Indulge in the flavors of central Mexico via earthy moles, varieties of masa, and one of the most extravagant and satisfying Sunday brunch buffets in town. Bayou & Bottle – With a Topgolf Swing Suite and a focus on bourbon and whiskies, this handsome Four Seasons bar is a Downtown destination. Biggio’s Sports Bar – Named after Astros legend and Hall of Famer Craig Biggio and set in the beautiful Marriot Marquis, this spacious multi-level sport bar wows the crowd with multiple flat-screens, two 30-foot-tall high def screens, leather recliners, local craft beer, and a winning lineup of pub grub. Cueva – Winos will want to check out this lobby-level bar inside the Marriott Marquis. Sip from over 200 global selections alongside small plates. The Dirt Bar – The after-party goes well into the night at this gritty rock n’ roll dive. Home Plate Bar & Grill – Set right across from Minute Maid Park, fans flock to this sports bar before and after ‘Stros games. MKT Bar – Located inside the incredible Phoenicia Specialty Foods, this casual bar rocks harissa chicken wings, braised lamb tacos, and tasty pizzas alongside a lineup of craft cocktails, beer, and wine. Check out specials like Monday Fun & Games Night and Tuesday Steak Night in addition to a great happy hour. Reserve 101 – One of Houston’s best whiskey bars is only a few blocks from Discovery Green. Sip boozy cocktails, drink straight pours and look out for fun tastings at this bar from Mike Raymond. Discovery Green Flea – This monthly pop-up flea market rocks kitschy art from local designers, vintage treasures and furniture, repurposed items and collectibles, and local food and drink. The Discovery Green Flea takes place on the third Saturday of every month. Launch HTX – This Space City pop-up store hosts emerging designers from the hottest local designers and artisans. The lineup of vendors are carefully selected to represent the diverse communities that make up Houston’s vibrant cultural landscape. Phoenicia Specialty Foods – Pick up freshly baked bread, artisan jams, and imported meats and cheeses for a DIY picnic spread at this global grocery mecca.